The bottle is an extremely useful item for players of The Legend of Zelda: Ocarina of Time 3D for the Nintendo 3DS. More than just a place to store last summer’s peaches, the bottle can hold valuable recovery items like milk and faeries. Bottles can also be used to store Poes and blue flames. There are a total of four bottles to be found in Ocarina of Time 3D. Each one requires a little work to acquire, and our complete guide will help you find and obtain all four. This first guide will walk you through the arduous process of tracking down errant birds and returning them to a grateful owner. Get ready to tame some errant fowl. The first bottle can be obtained shortly after you meet with Princess Zelda as Young Link. She sends you toward Death Mountain, and you’ll have to go through Kakariko Village to get there. This is easily the most complicated of the bottles to acquire, but it’s well worth the hassle. As you explore the village, you’ll come across a young woman whose seven cuccos have escaped. She begs your assistance in returning them to the nearby pen, and offers you a reward for doing so. The reward is the first bottle. Five of the cuccos are relatively easy to find, the last two will require a little more effort on your part. Cucco number one is hanging out near the entrance to the village. Cucco number two can be found hiding inside a box at the bottom of the stairs leading to Death Mountain. You’ll be able to hear the cucco inside when you get close. Do an attack roll to shatter the box and retrieve the bird. Find cucco number three hanging out behind a fence outside the House of Skulltula. There are two ways to get this one, either grab another cucco and use it to slow fall from the ledge near the well, or swing your sword at the cucco through the fence to make it hop down. Chase it, grab it, and throw it in the pen. The fourth bird is hanging out atop the second set of stairs en route to Death Mountain. Cucco number five can be found hanging out near the well. Grab it, but don’t throw it into the Cucco Lady’s pen just yet, you’ll need its help to get to the last two. You’ll need to carry your cucco up the stairs in front of the windmill. Atop the stairs, you’ll find a box. Carefully throw your cucco onto the box, then quickly climb up and pick it up again before it hops off (this may take a few tries). Once you’ve got it in hand again, point yourself toward the nearby railing and jump over. You should be able to land atop it with a well-placed jump. Now, slowly make your way to the Northern end of the railing. You’ll see a cucco hanging out behind a fence in front of you with a ledge to your left. Jump diagonally off of the railing and over the fence onto the ledge (there are a couple pots up there you can use as a reference). Once you’ve landed on the other side, throw your current cucco over the fence toward the well. Then, head down the stairs and pick up the cucco on the ground behind the fence and throw it over in the same place. Don’t hop back yet, though, there’s one more bird to grab. The final cucco is to the left of the windmill. You get to it by climbing a ladder near where you picked up cucco number six. Climb up, grab your cucco, and use it to slow fall down by where you threw the other two birds. Chase them down, pick them up, and throw them in the pen. Once they’re all safe, speak to the Cucco Lady and she’ll reward you with your first bottle. Wait for the ringing sound that indicates the last cucco has been successfully deposited before speaking to her. Listen for it, as it can take a few seconds after dropping off a bird. 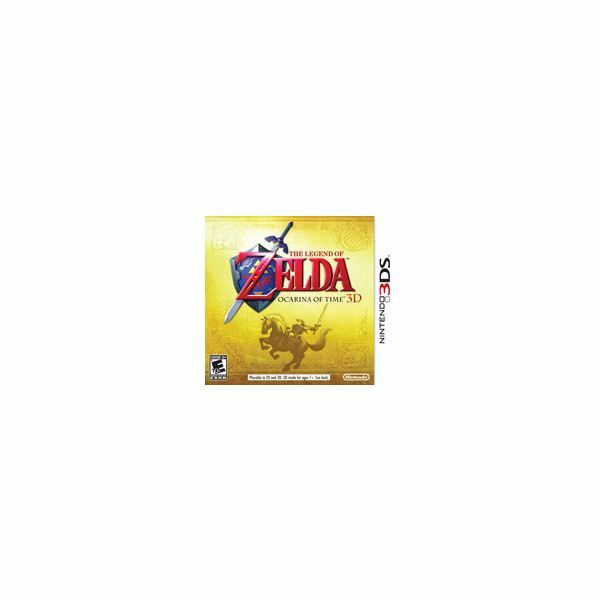 Congratulations, you’ve found the first of four bottles in The Legend of Zelda: The Ocarina of Time 3D. Our other three guides will help you find and acquire the rest of them. For now, though, rest easy knowing that you’ve finished the most complicated of the four tasks required to acquire bottles in the game. Next up is Lon Lon Ranch, and another chance to throw cuccos around in order to earn a bottle. Head West out of Kakariko village, then Southwest across Hyrule Field to get there. Looking for the bottles in Ocarina of Time 3D? Our in-depth guides will help you track down and obtain all four, featuring full walkthroughs of the Super Cucco Challenge, the Cucco Lady quest, diving for the bottle containing Princess Ruto’s letter, and defeating all the Big Poes as Adult Link.